One of the biggest cruise ships in the world is to get one of the most up-market jewellers in the world on-board. 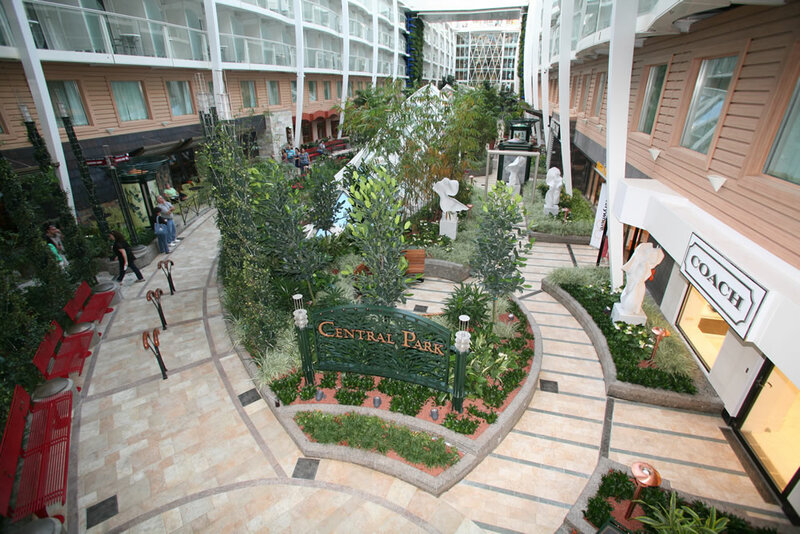 Royal Caribbean is adding a Tiffany boutique to the Central Park area of the 5,400-passenger Oasis of the Seas. It will offer a full selection of Tiffany jewellery, including engagement rings and the recently introduced Tiffany T and Atlas collections, as well as Swiss made CT60 watches. The 81 square-metre (875 square-foot) retail space will be decorated with marble, glossy lacquers, polished metals, walnut panelling, velvet drapery and upholstered walls. Tiffany’s flagship Fifth Avenue store is located near Central Park in New York City so the on-board boutique should feel right at home within the ship’s neighbourhood of the same name. The cruise line is keen to increase its share of the luxury travel market. In August they announced upgraded suite amenities and butler service. Royal Caribbean was unable to confirm whether Tiffany jewellery would be available for sale on their next Oasis-class ship, Harmony of the Seas, which is expected to launch in May 2016. The cruise line was also unable to confirm whether the boutique would also be added to ships operating in China. Given the thirst for high-end luxury goods in China this would be a logical and potentially lucrative move for both the cruise line and jeweller. Oasis of the Seas currently operates alternating seven-night Eastern and Western Caribbean itineraries from Port Everglades in Fort Lauderdale. In autumn 2016, she will begin sailing from Port Canaveral. Royal Caribbean has also announced an expansion of its high speed Internet service known as VOOM. From May 2016 the service will be added to Majesty of the Seas, Enchantment of the Seas and Freedom of the Seas. It is currently available on Quantum of the Seas, Anthem of the Seas, Oasis of the Seas and Allure of the Seas. The service will also be installed on Ovation of the Seas and Harmony of the Seas in spring 2016. On VOOM-enabled ships unlimited Internet packages are priced at $15 (£10) per device per day, with a 50 percent discount on a second device. During the festive season the line will be offering a Family Internet Bundle priced at $10 (£6.60) per device per day when a guest purchases four devices.